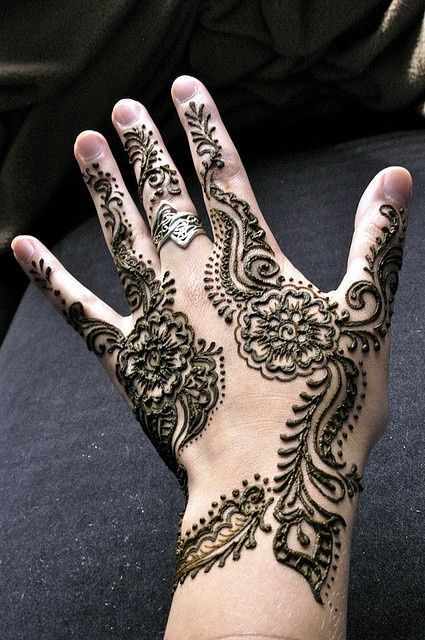 Sriz Beauty Blog: My Favorite Mehandi Designs!!! This spring season is not only meant for blooming flowers and fields but also it is the season when most of the weddings happen. I need to attend a couple of weddings in the next week and so my preparations are going in full swing. I have shopped both clothes and makeup so much and everything is almost set. Any wedding is incomplete without Mehandi, as it is not only a tradition but also the most important aspect in any occasion. I have to select mehandi design for the bride, so I was in search of latest and different mehandi designs from past two weeks and want to choose the best design for her. So, I thought of sharing a few designs which I liked with you all. As you all know that there are many types mehandi designs like Traditional designs, Indian designs, Arabic mehandi designs, Pakistani designs, Rajasthani designs etc., and different styles of mehndi like Floral, bangle type, glittery, multicolored etc., and Bridal mehandi is one of the most wonderful one, involving a lots of styles and patterns! Simple Mehandi Designs : I like simple mehandi designs as they are not only easy to draw but also looks clean and neat without any messiness. I selected few simple designs for me and other friends as there will be very less time for us to get ready and moreover we shouldn’t dominate the bride’s design right? Not only that these dry fast without much waiting and so we can help with other wedding chores. I am sharing only one here. 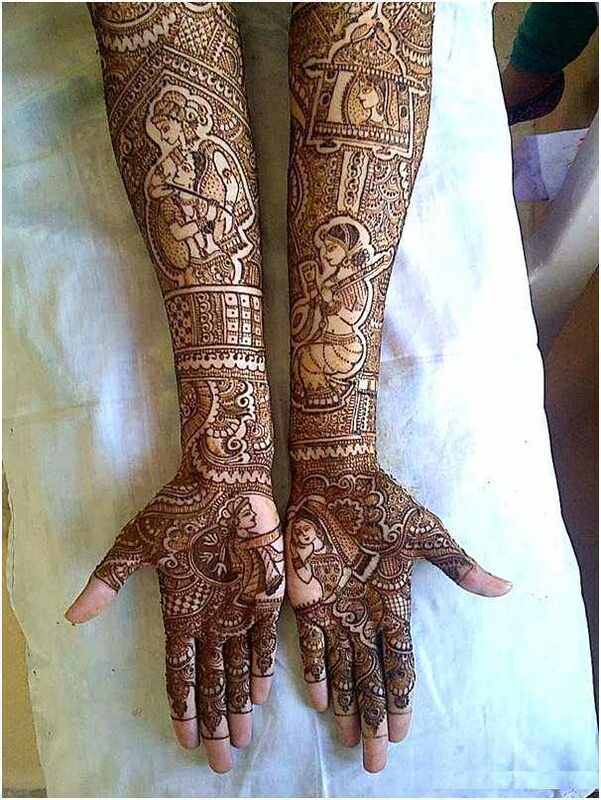 2.Bridal Mehndi Design : This is the most difficult task, as there are number of Mehndi designs to select from and also the design should be perfect as it is for the bride’s Big Day, so cannot compromise in any way. I have been searching a lot from past 2 days and finally selected few. So, that the bride will have some choice to select her favorite one. I have selected design for both hands. 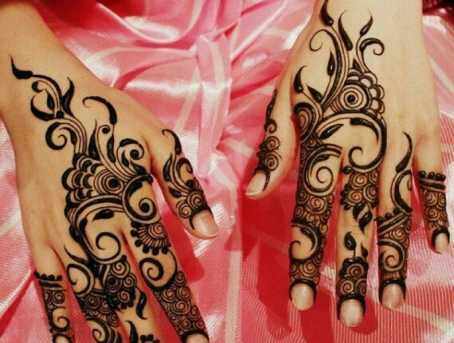 3.Arabic Mehandi Design : I love simple designs especially the Arabic mehandi designs which consists mostly simple things like flowers, leaves, twigs, dots etc., I have selected few of these for bride’s legs. So, these are my favorite designs. Hope you like them!!! Labels: My Favorite Mehandi Designs!! !